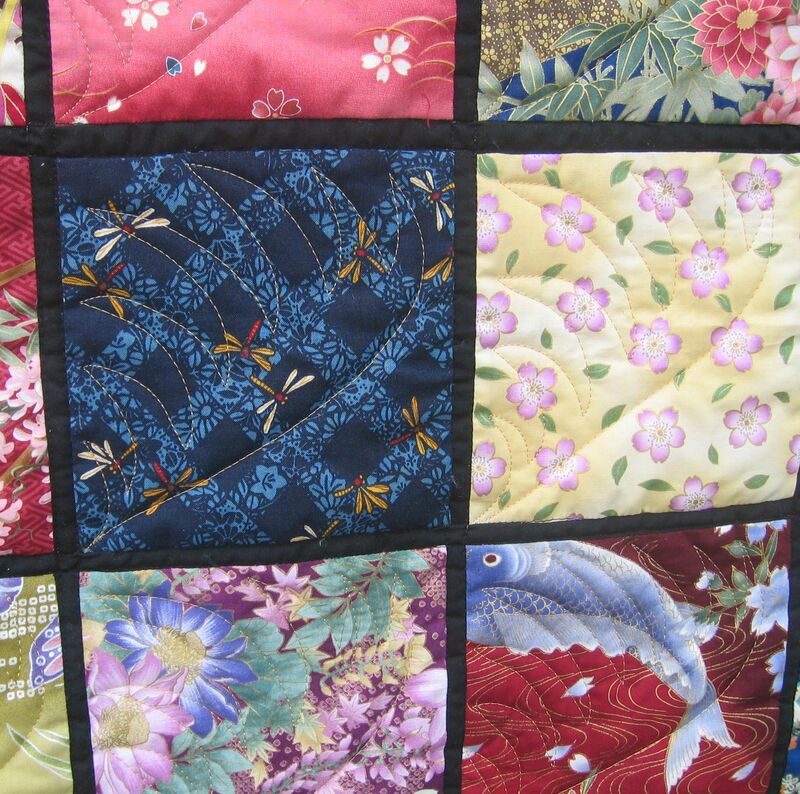 The last of the small quilts in the latest batch was a very pretty ‘stained glass’ style quilt in Asian fabrics. 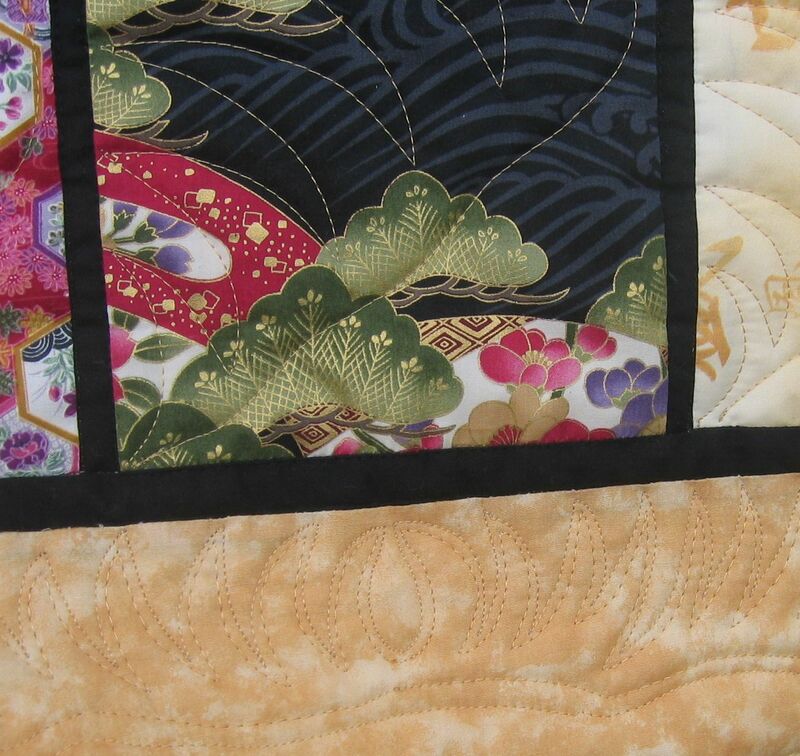 Each fabric was quite different so how to quilt it? I thought of doing something different in each block, but figured that might make it too busy (the fabric is busy enough), and I thought of doing a water motif. But eventually I decided on a spiky grass motif in a gold coloured thread (not metallic). I repeated the same grass in each block and used a smaller version of it in the border. In the border I also used the technique I learned in the December FMQ Challenge of making the centre and corner elements ‘kiss’ each other. 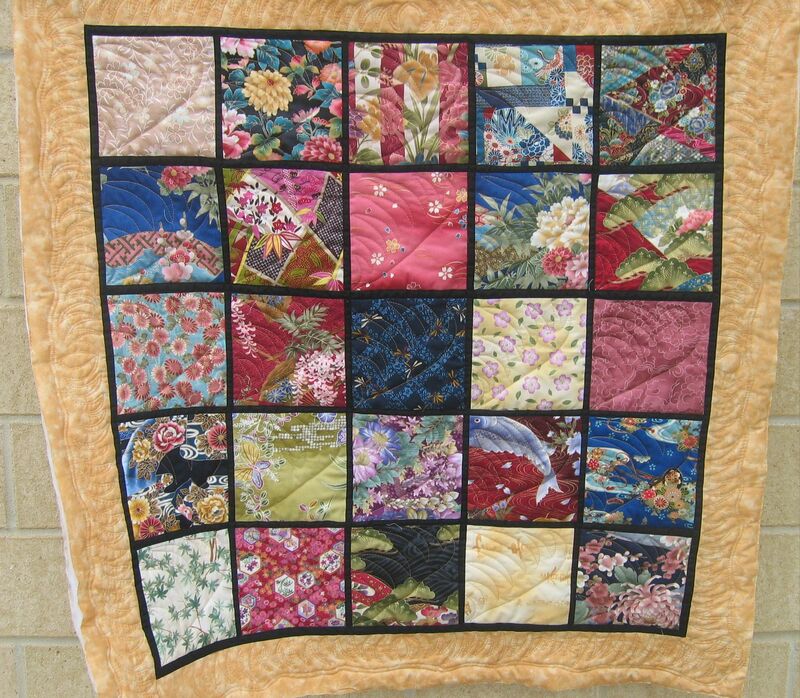 I thought this was a pretty little quilt too. You’ve done it justice, looks fabulous! The ‘spikey’ quilting certainly continues the feeling of the prints/piecing! You did a beautiful job. I love the rayon threads I have…..can’t beat the ‘shine’ it adds and such richness! 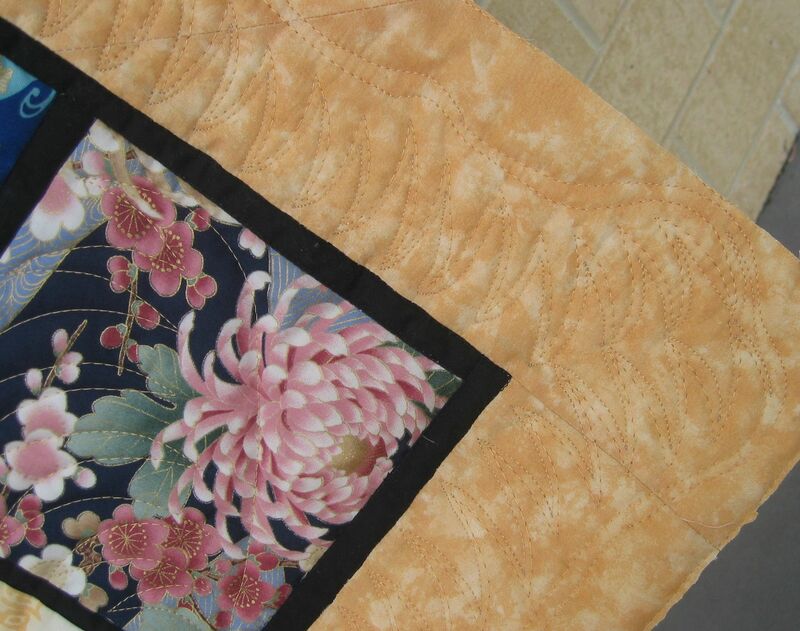 Always inspiring/motivating to see your quilting. Hugs…….